Compared to desktop PCs, laptops have a shorter lifespan. Their portability means that they are more likely to get dropped, knocked or splashed with liquids. Taking care of a laptop can increase its lifespan. Replacing laptop parts is also more expensive than doing so on a desktop PC. Nonetheless, how soon it reaches the point of failure largely depends on how you handle your laptop. The following are some ways you can prolong a laptop’s lifespan. Smudges and dust particles can make it harder to clearly view content on a laptop screen. Use a slightly moist microfiber cloth (preferably with distilled water) to clean the screen using gentle circular motions. Avoid using chemicals to clean the screen as some are harsh and may damage the screen’s protective coating. The compact nature of a laptop makes it prone to overheating. Use your laptop in a well ventilated area and make sure air vents are not blocked. Avoid using your laptop on soft surfaces, such as on bed, because air vents can easily get blocked and lead to overheating. Dust can clog vents and restrict airflow, leading to overheating. Periodically blow away dust using canned air. Be sure to blow the air out, and not into the laptop. 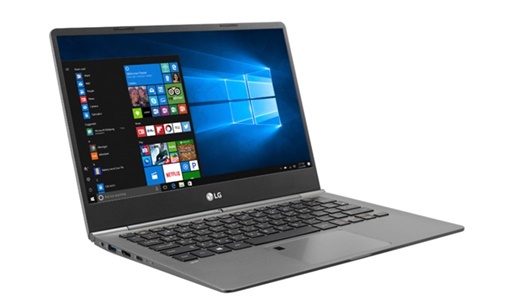 Almost all laptops are powered by lithium batteries. These kind of batteries degenerate faster when exposed to heat. Work in a cool and airy environment whenever possible. Let the battery run low before plugging it in to recharge. However, never let it run completely out of charge. If you have access to AC power, remove the battery and work with power from the mains. Coffee or tea spills can easily damage your laptop’s keyboard. Given the keyboard is directly above a laptop’s motherboard, spillages can short it out. Food particles, such as bread crumbs, can make keyboard keys get stuck when they accumulate over time. In such case, shut down the laptop and turn it upside down. Then gently tap on the back to dislodge particles. You can also use compressed air to dislodge any stuck particles. Properly packing your laptop can save you from an early trip to the repair shop. Bags specifically designed for carrying laptops have padding to cushion it against damaging knocks and bumps. Be sure to shut down your laptop or put into hibernation mode to ensure there are no spinning parts when you put into a laptop bag. Your laptop can easily become damaged if you move it around while some parts, such as drives, are spinning.